No cuts to biodiversity staff! The federal government will cut its biodiversity and conservation staff by more than 60, or around one third of its total. Biodiversity staff coordinate the listings of threatened species and their recovery plans, devise Australia's national biodiversity strategy, and coordinate action around the country against invasive species and other biosecurity threats. Biologist and author Tim Low regards invasive species as the major threat to Australia’s environment and has argued that free trade agreements will only exacerbate the problem. In his 1999 book “Feral Future” he warned: “…free trade, the high ideal we are all asked to embrace, is a sure-fire recipe for a pest-infested world. The more we move goods around the globe, the more pests we move with them…companies will exploit free trade treaties to overturn environmental legislation”. Australia became a signatory to the international Convention on Biological Diversity in 1992. It remains a signatory. Australia’s reputation for adherence to the protocols and requirements of international treaties and conventions, however, is in tatters. The provisions of the International Labour Organisation, the UN Declaration on the Rights of Indigenous Peoples, and the UN Refugee Convention are just some of the better-known examples of government hypocrisy in action. 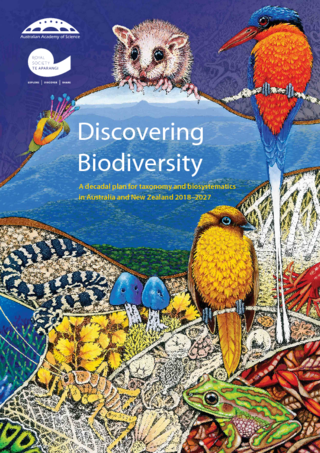 The Biological Diversity Convention, if really followed by Australia, would see an expansion, not only of government biodiversity staff, but also of its quarantine staff. It defines biological diversity as “the variability among living organisms from all sources, including, inter alia, terrestrial, marine and other aquatic ecosystems and the ecological complexes of which they are part; this includes diversity within species, between species and of ecosystems.” It requires signatories to “regulate and manage biological resources important for the conservation of biological diversity” and to “adopt measures relating to the use of biological resources to avoid or minimise adverse impacts on biological diversity”. How can that possibly be done by cutting by one-third the already inadequate numbers of government employees tasked with those responsibilities? How can it be done when current monitoring and management is so grossly inadequate that researchers at the Threatened Species Recovery Hub in the Federal Government's National Environmental Science Program found about a third of Australia's 548 threatened species and 70 per cent of its threatened ecological communities were not being monitored at all? How can it be done when we have no completed understanding of what constitutes our biological diversity? “Best estimates suggest that a majority—around 70%—of Australian and New Zealand species remain undiscovered, un-named and un-documented” states a report released only a fortnight ago by the Australian Academy of Science and New Zealand’s Royal Society Te Apārangi. It proposes a ten-year plan for expanding the work and the workforce associated with taxonomy and biosystematics, the two sciences underpinning research into biodiversity. Yet the government, in its rush to cut staff and leave management to “operators in the field”, in other words, to private sector initiatives, is driving us further away from our treaty obligations, from our scientific community, and from the huge numbers of Australians who volunteer their own time and effort to protect the environment and its species. Support, enhance and expand the scientific exploration of our biodiversity! Fight for an independent Australia in which evidence-based science research is respected and not attacked by governments serving US big business!